BB: For any of our readers who haven't discovered Vivatramp yet could you tell us a little bit more about yourself and the blog? Oh, hai! I'm Bee and I'm a Creative Writing undergraduate, lifestyle blogger and all round bookish person that lives by the seaside in the South West of England. Vivatramp is my little space of the internet where I share my adventures, snippets of creativity, general bookish musings, monthly goals and various lists. I've always been fascinated by books, even from a very early age. My Grandma would read stories to me every night until I fell asleep. However, I think my passion for reading alone really stemmed from my Mum allowing me access to her 1970's copies of the 21 Famous Five books. I remember reading a few in a day, lapping up their adventures and forever being jealous that no one took me on picnics complete with lashings of ginger beer. Unfortunately, they still don't! I'm quite proud of all of my reviews, so I wouldn't say that there is one that stands out for me. If I'm honest, I find that the hardest ones to write are the reviews for books I really liked. I never feel like I've put my complete adoration across! BB: We're always looking for new titles to add to our TBR lists. Which 3 books do you recommend everyone should read? This is such a hard question to answer! Submarine by Joe Dunthorne is one of the funniest yet most incredibly warm books I have ever read. What We Talk About When We Talk About Love by Raymond Carver is a really important short story collection for me, and you'll be hard pushed to find a better short story writer. I would also recommend Just Kids by Patti Smith. I have lost a lot of hours lately wishing I could be as articulate as her! BB: As well as book reviews we also love that you share creative writing posts including a recent feature on book spine poetry. Could you tell us a little bit more about how you came across the idea? I have always been interested in literature and the way in which we, as individuals, express ourselves so I used to actively seek out fun and new ways to combine those things. I'm not entirely sure where I came across this idea, because it's one of those that seems to have been on the internet for a very long time, but I'm so glad I did. There's a great video on it over on The Art Assignment's youtube, actually, that may prove to be useful: https://www.youtube.com/watch?v=A24MRdNMOIA. BB: Do you have any particular childhood favourites that have stuck with you into adulthood? The Wind in the Willows by Kenneth Graeme has always been, and always will be, one of my favourite books. When I was younger, I was enthralled by the characters. I remember thinking Toad was very silly. However, as I've got older I've come to appreciate it for its veiled Edwardian critique of industrialisation and the unsettled class structure. It's a stunning read, and one that always feels like home to me. I would swap lives with Luna Lovegood, because I am a Ravenclaw with a desperate need to roam the corridors of Hogwarts School of Witchcraft and Wizardry! I am so original, I know. I just can't help myself. I'm sorry. 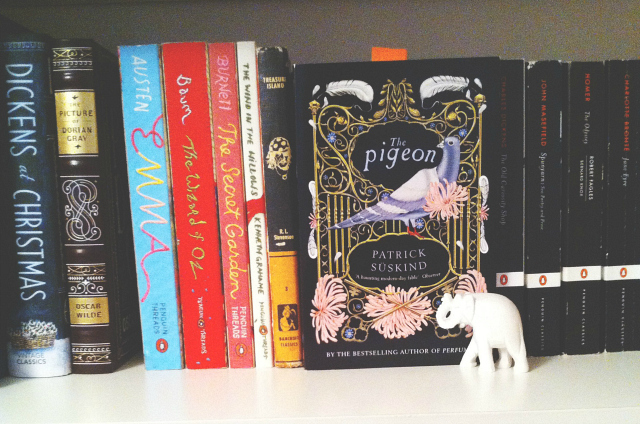 BB: Last up, we have to ask... which book blogs are your favourites to read? 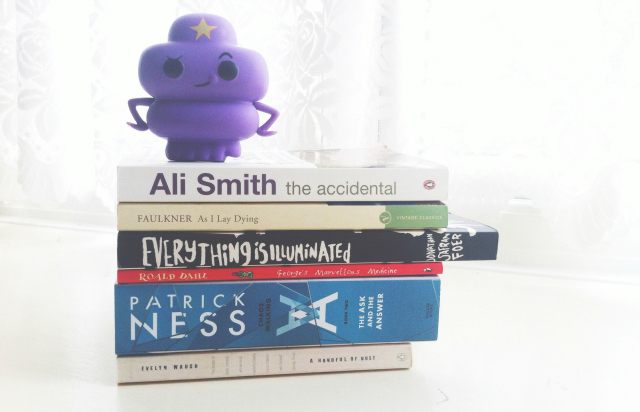 Any favourite booktubers you think we should be subscribed to? I'm going to be really honest here...I don't actually read many book blogs which is terrible of me, I know. I need to devote some time to finding some book bloggers that I really love! I do, however, love Jennie over at The Book Journal and Blair over at Learn This Phrase. As far as booktubers go, I have quite a few favourites. You should definitely be subscribed to WeLiveForBooks, foolishoats, frenchiedee, theheavyblanks, MercysBookishMusings, RonLit, SteveReadsBooks, readsusieread, StephanieSpinesandTim, OneSmallPaw and climbthestacks if you aren't already! I'd like to say a huge thank you from all of us here at BB to Bee for taking part in this interview. If you are a booktuber or book blogger and would like to be featured in a similar post we'd love to hear from you - just email us at bloggersbookshelf@gmail.com for information!